The other day, Ron had a big glossary shopping. Some of them were scallops and Halibut. 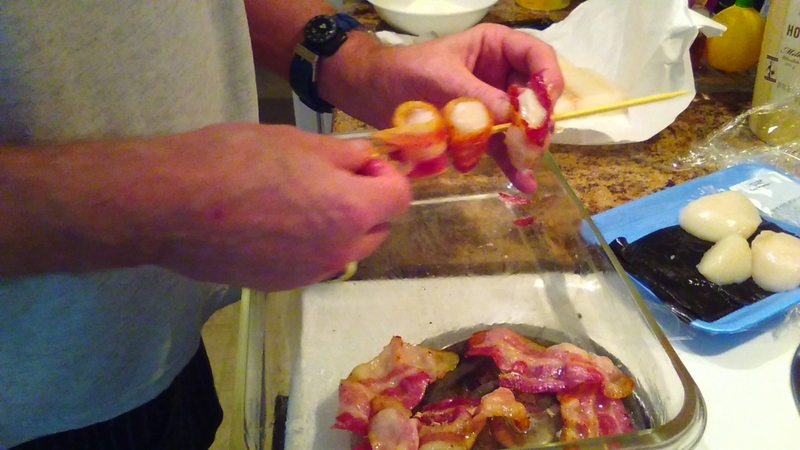 He said he had seen a bacon wrapped scallops at somewhere, which looked delicious and wanted to cook, and he also wanted to cook deep-fried fish as the restaurant does. 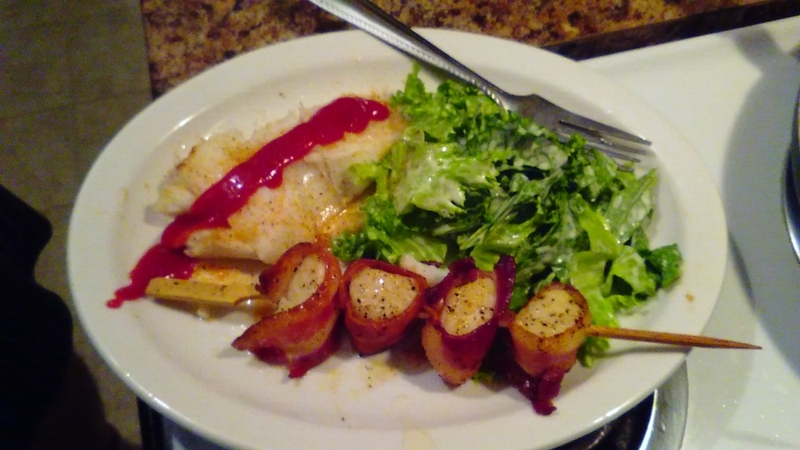 Halibut and scallops, one scallop is big, it costs about $12 for 4. Expensive!! Put all the food on your favorite dish. Ready to eat. Unfortunately, this dish was not very tasty...disappointed Ron ate little. So I have taken over all of them. 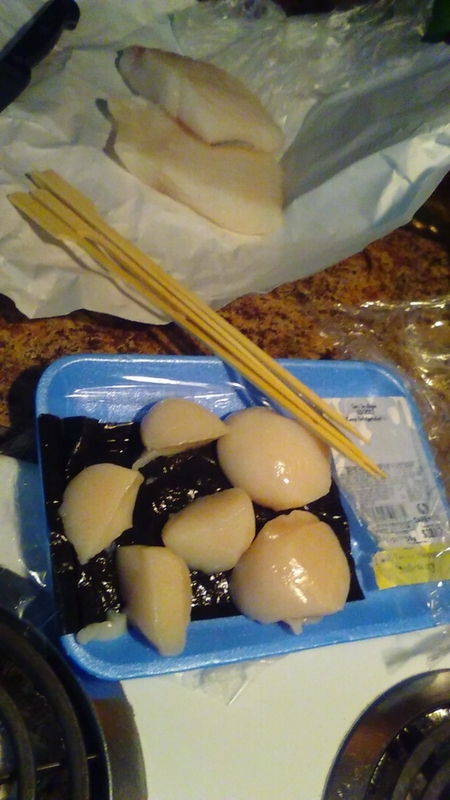 I understand scallop of second day is better than the one hot and fresh, because of the touch and taste.